Sometimes what is not in a photograph is just as important as what is in a photograph. What you see here is a penguin family. The mom is sitting with the chicks as dad grabs rocks to build up their nest. What a fine upstanding family, right? 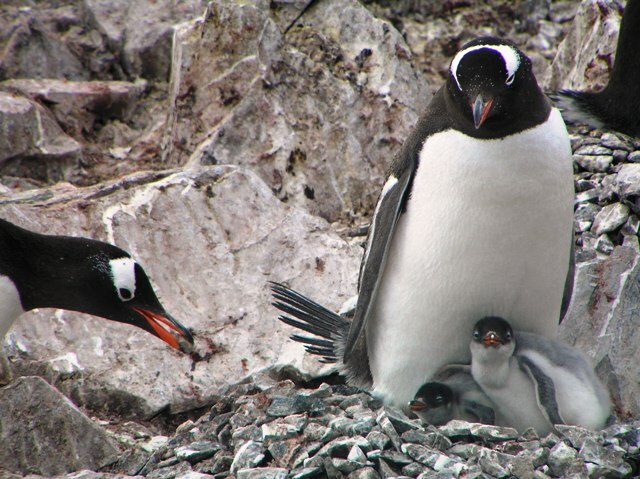 But, what is not shown is that dad finds his rocks from other penguin nests. If I expanded this photograph out on the right-hand side, you'd likely see a penguin grabbing a rock from this very nest.